In Tools and Hardware > Locks > Show & Tell. 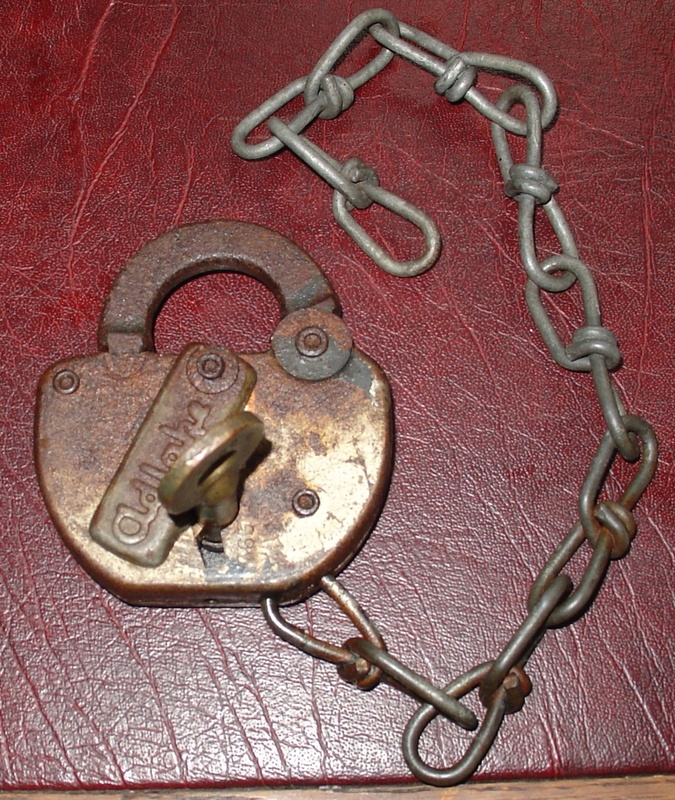 Found this old padlock one day out picking. 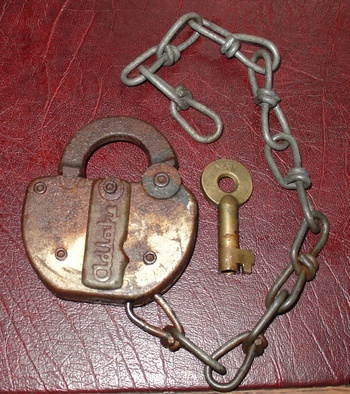 This old lock works find even though it's a little rusty. 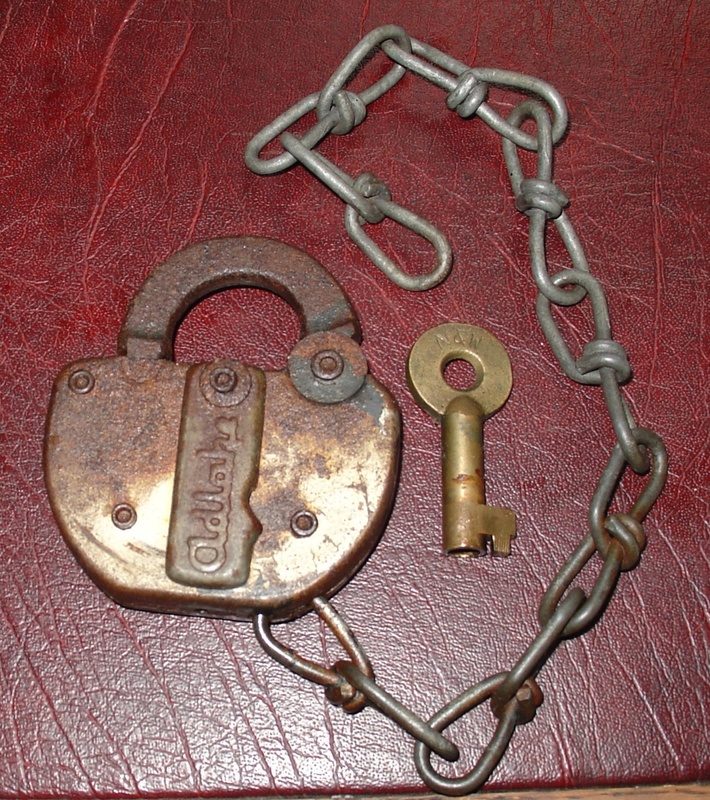 It has a brass key with it. Stamped on the key is N & W.
Thank you Philip for the love! Have a great afternoon! Thank you leighannrn and MooreAntique! Thank you JerrieRamo for stopping by. There is value to these locks with keys that work. You might google it and do a completed search to help you find a value. Thank you collecting and giosiramo! I have unlocked and locked Adlake locks like this innumerable times in my forty years on the job. Looks like it is in Great shape. Thanks for sharing. Thank you musikchoo for the love and the nice comment! Thank you Longings for the love! Thank you crswerner for the love! Thank you bratjdd for the love! Thank you trgrubaugh for the love! Thank you shughs for the love! Thank you chrissylovescats for the love! Thank you musikchoo for the love!